A Consultant Obstetrician at the Liverpool Women’s NHS Foundation Trust has helped design an award-winning newborn resuscitation trolley which could save the lives of vulnerable babies. 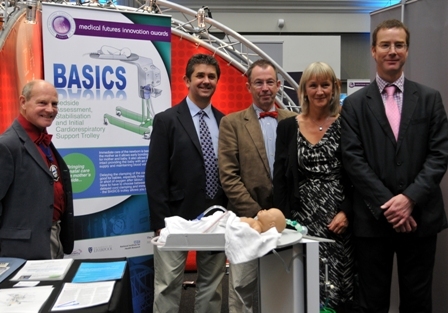 Dr Andrew Weeks and members of the development team, which included Bill Yoxall, Consultant Neonatologist at the Liverpool Women’s and Peter Watt, design engineer at The Royal Liverpool and Broadgreen University Hospitals NHS Trust, won a top award at the Medical Futures Innovation Awards, one of Europe’s most prestigious healthcare and business accolades rewarding innovative ideas from front line clinicians and scientists. 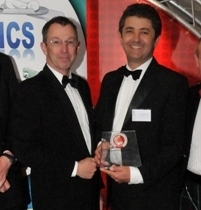 Their BASICS (Bedside Assessment, Stabilisation and Initial Cardiorespiratory Support) Trolley won the top award for Best Innovation in Service Redesign in the cardiovascular innovation awards category. The bedside trolley is a small, portable version of the large resuscitation units. Its size allows it to be used alongside the mother and baby even at caesarean section or forceps delivery. It has a built-in oxygen supply, suction and heater and has been developed in the belief that immediate care of the newborn is best done alongside the mother and especially beneficial in the case of premature babies or those who are short of oxygen after labour. 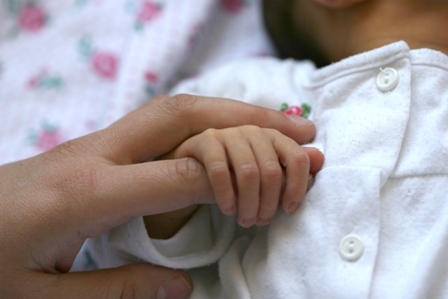 It allows doctors and midwives to check for vital life-signs and provide resuscitation at the mother’s bedside whilst the baby is still safely connected to its mother via the umbilical cord. The intact cord provides the baby with an ongoing oxygen supply and maintains the baby’s blood volume. Dr Weeks from Reproductive & Developmental Medicine said: "Resuscitation trolleys are usually placed in a corner of the delivery room as they are too big to be by the mother’s bedside. This means the baby has to be taken away from mother to be checked necessitating the clamping of the umbilical cord. This means doctors have to choose between delaying cord clamping against the need for immediate resuscitation. With the award winning trolley they can do both. "Statistics show that 10% of newborns need some form of resuscitation soon after birth. The team would like to see the BASICS trolley become standard equipment in the National Health Service and around the world.